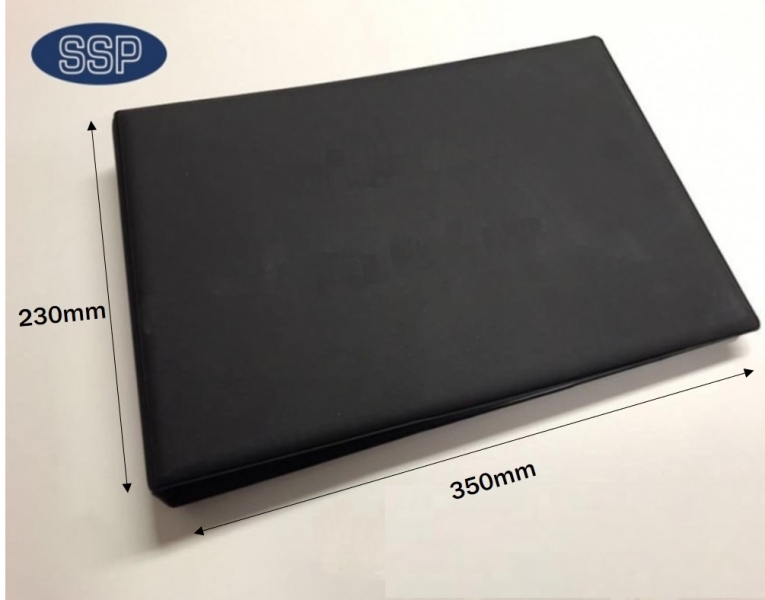 SSP’s personalised, deluxe Visitor Book is a great way of capturing the details of all those that visit your premises in a quick and easy way. 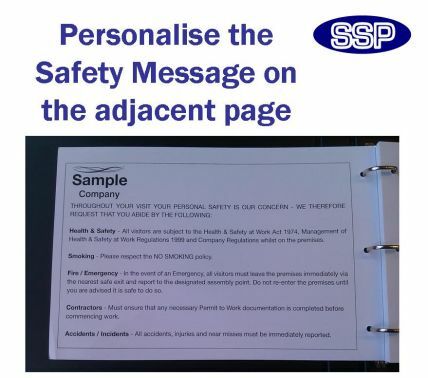 Acting as a fire evacuation record for all visitors to your building, this folder has removable pages for added convenience. 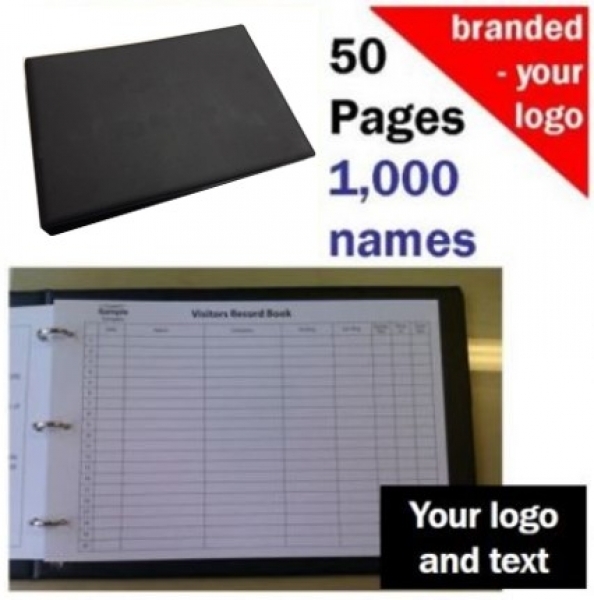 Once all 50 pages are complete, replacement pages can be purchased from the link below without your business having to go to the expense of replacing the whole folder. Much thought has gone into this the design of this product. It has been developed to be large enough to be conspicuous at the reception but compact enough to fold up and be filed away when not in use. However, you can change this to capture more or different information from the visitors entering your building. 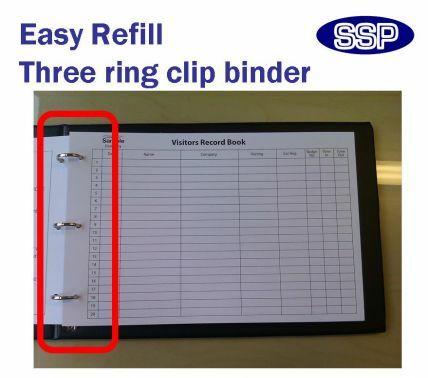 To do this, before or straight after ordering, open and save the document shown at this link (Personalised visitor book alteration sheet VRB-01). 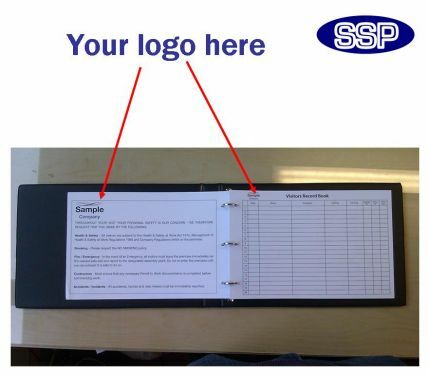 Simply amend this sheet as you see fit and send it to sales@sspdirect.co.uk. 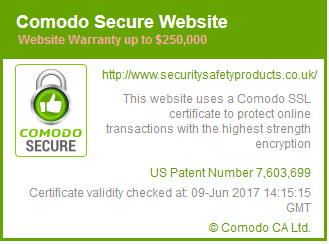 If you would also like to show your organisation’s logo, either drop it into this Word document or email it as a separate attached. You are not just limited to black. 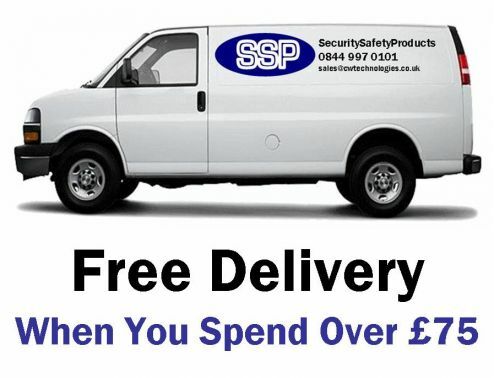 We can print logos, text and boxes in whatever colour scheme you desire. Just ask. Health & Safety – All visitors are subject to the Health & Safety at Work Act 1974, Management of Health & Safety at Work Regulations 1999 and Company Regulations whilst in the premises. Fire / Emergency – In the even of an emergency, all visitors must leave the premises immediately via the nearest safe exit and report to the designated assembly point. Do not re-enter the premises until you are advised it is safe to do so. Accidents/Incidents – All accidents, injuries and near misses must be immediately reported. 5. 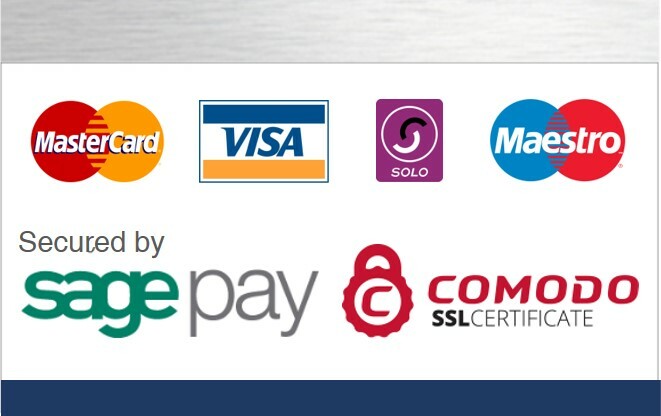 Do you think that having the option to pay through PayPal would be useful? we still pay by cheque! !